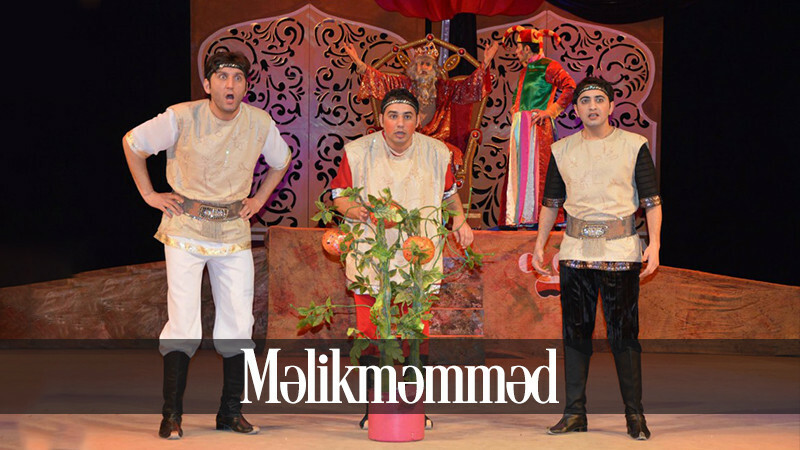 Malikmammad in Azerbaijan State Youth Theatre of Young Spectators buy tickets online. Delivery of tickets for the event Malikmammad. "Malikmammad" Azerbaijani fairy tale. (One-part fairy tale and performance) Age Limit: 3+ Author: Azerbaijani fairy tale Acting director: People’s artist Agakhan Salmanli Starring: Elnur Huseynov, Mirza Aga Mirzayev, Shabnam Huseynova Genre: fairy tale and performance Duration of the performance: 1hour Malikmammed, the fascinating and legendary hero of all children influences their spirit by his physical and mental capabilities. A hero who wins giants, kills dragon, helps those who are helpless, is the ideal of every child and young person. This presentation being one of the versatile versions of the famous "Malikmammad" tale, shows that human intelligence can win both nature and spell. It also instills feelings of heroism, love to family, folks and motherland.